I'm drawn to a room that pulls you in and you can't quite figure out why. But each time you see it you find more and more reasons to add to the list. The fur-lined panel, the worn metal cabinet, the simplicity with flair. The chalkboards, the propellers, the mismatched bedcovers, the hallway that beckons. 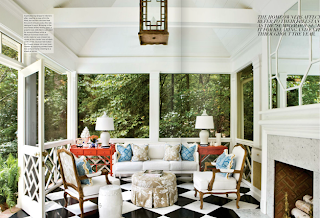 The nerve to put formal on the porch, the black and white floor, the chandelier. 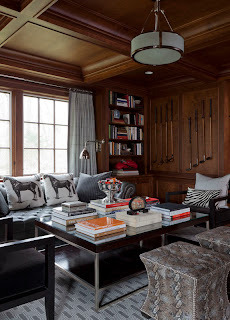 The golf clubs on the paneled wall, the horse pillows, the modern cocktail table, the zebra pillow. 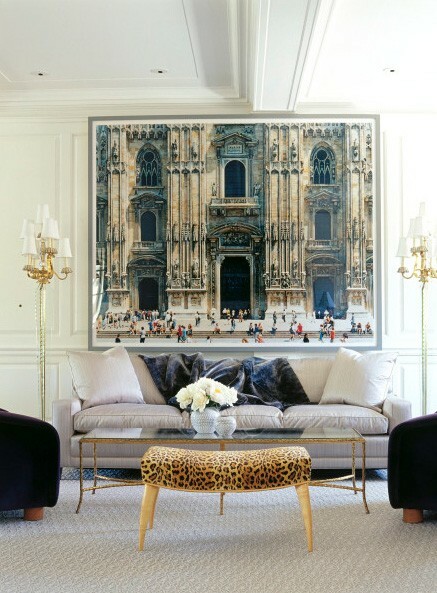 The floor lamps that remind me of street lamps, the art gallery feeling, the leopard stool. Happy Independence Day America and Thank You!